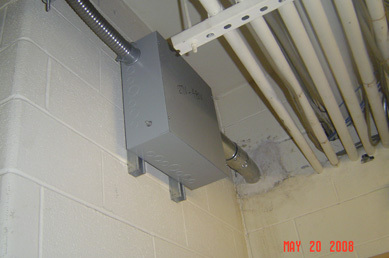 Title : Three Phase Electrical Installation, USMA, West Point, N.Y. 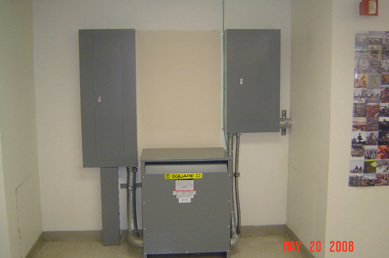 Installed new three phase 480 volt electrical service from the basement to sixth floor computer room in Blg 745. Work involved a new 75 KVA transformer, main breaker, control panels, feeders and testing.